Today I’m continuing my hunt for Watch List shares by evaluating Town Centre Securities (TOWN). * Illustrious payout history: The business boasts an unbroken 57-year record of dividend payments. * Substantial long-term shareholders: The founding/managing family boast a sizeable 52%/£78m investment. * Discount to book value: The 281p shares trade at a 25% discount to the group’s 375p net asset value. As well as the Merrion, the group’s property estate currently encompasses a variety of other retail and leisure outlets, alongside offices, warehouses and residential units. The sites are based mostly in Leeds and Manchester, with some located in Scotland and certain London suburbs. Top tenants include Morrisons, Leeds City Council and Pure Gym. TOWN also operates 16 car parks, and the group converted into a REIT during 2007. The Ziff family has always run the business and still owns 52% of the shares. Arnold Ziff’s two sons, Edward and Michael, sit on the board as the executive chairman and a non-executive respectively. TOWN went public during 1960 and exact financial details from back then have long since disappeared. 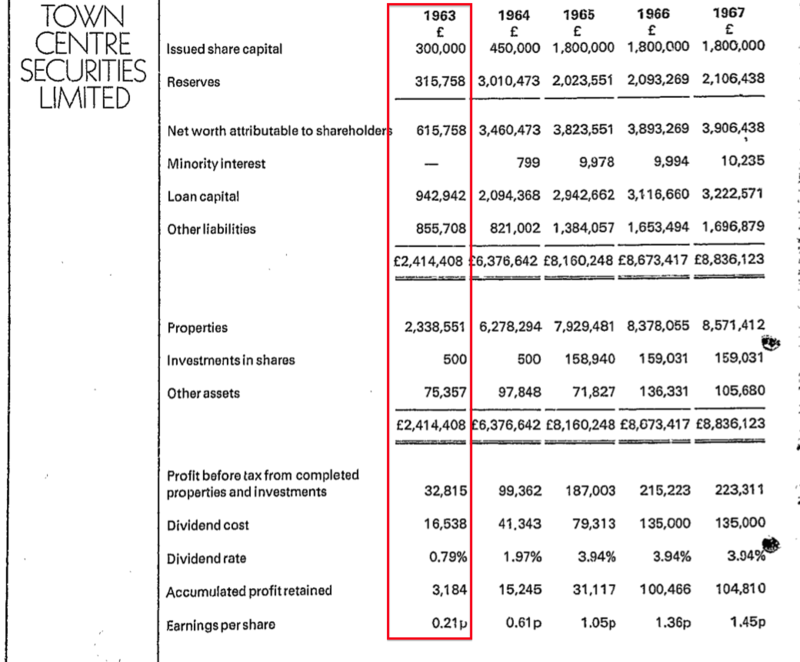 However, the firm’s website does carry annual reports from 2013 while Companies House stores all the annual reports going back to 1991.… as well as the 1973 edition. While TOWN’s 57-year dividend has never suffered a cut, the group’s property valuations did suffer badly during the banking crash. 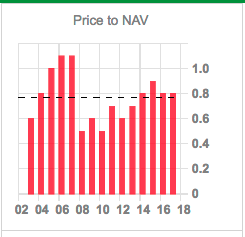 NAV slumped almost 60% between 2006 and 2009, and book value still remains 30% — or approximately £70m — below its peak. I note total gross revenue of £27m for 2017 was equal to that recorded during 2009 — and the accounting small-print shows the business having lost £5m of annual property rental income during the last decade. The shortfall has been made up by expanding the car-park division, which has more than doubled its revenue to approximately £11m following several small acquisitions. I am afraid I can’t give TOWN top marks for bookkeeping clarity. The accounting archive is chock-full of gains and losses from various corporate actions, including the writing-back of earlier write-offs as well as complex charges following a debenture refinancing. That said, the books do show almost £100m spent on share buybacks between 1999 and 2008, which reduced the share count by a colossal 55%. My rough sums indicate the average buyback price was 150p. In addition, special dividends totalling 24p per share were declared between 2005 and 2007. The 2017 balance sheet carries goodwill of only £4m, which relates to two car-parking businesses purchased during 2015. The 2017 balance sheet displays share capital of £13m versus earnings retained by the business of £176m. TOWN’s issued share count has remained unchanged since the last significant share repurchase in 2008. TOWN’s 2017 balance sheet carried cash and investments of £5m, investment properties with a £327m book value, and car parks with a £22m book value. In comparison, bank debt was £192m. Net book value came to £191m. Net debt as a proportion of the property base is (£192m – £5m) / (£327m + £22m) = 54%, which does not appear outrageous… but is well below the gearing levels at my pair of existing property holdings (Daejan at 11% and Mountview Estates at 7%). TOWN took on the debenture during 2006 and the 5.375% rate is fixed until 2031, at which point the debenture becomes repayable. With TOWN paying 2% on its other loans, the firm is arguably paying unnecessary interest of £3m a year. 30% is a lot of value to be stored in a single asset. I should add that TOWN is not burdened with any final-salary pension obligations. Certainly there does not appear to be problems collecting the rents, with working-capital movements showing an aggregate inflow of cash during the past five years. As you would expect at a property group, cash flow is reinvested heavily in new or existing developments, and such expenditure is well above the depreciation charge. My sums indicate for the last five years, total cash from operations came to £72m, of which £39m was paid as interest, a net £42m was spent on various property/investing activities, with a further £27m distributed as dividends. The £36m shortfall was funded by additional debt of £38m, which left £2m as extra cash in the bank. There is nothing obviously unique about the Merrion Centre. True, the Merrion is located a short walk from Leeds Arena and TOWN has developed a swish restaurant area to serve the Arena’s visitors. TOWN has also redeveloped a Merrion office building to house 2,000 Leeds council employees, which should boost the area’s footfall. “For many years we have managed our properties intensively to maximise income. This has translated into excellent total returns and has allowed us to maximise and maintain our long term outstanding dividend growth. I guess everything boils down to TOWN’s management, and how well the directors manage the group’s properties “intensively to maximise income”. Not really, although property companies rarely do. Return on average equity — un-adjusted for any valuation gains and losses — fluctuated between 3% and 18% between 2013 and 2017, with an average of close to 9%. A similar ratio emerges when evaluating TOWN’s NAV increases. During the five years to 2017, TOWN increased its NAV from 270p to 359p per share while declaring dividends that totalled 54p per share. Generating an extra 89p per share of NAV and supplying 54p per share of dividends from a 270p per share equity base equates to a total 53% return, or 9% compounded over the five years. That depends on your view of TOWN’s somewhat modest progress. Edward Ziff is TOWN’s current executive chairman. He took on the top job during 2004 after serving on the board since 1985 and working within the business since 1981. Aged 57, Mr Ziff should continue to lead TOWN for a few more years before questions about possible retirement emerge. 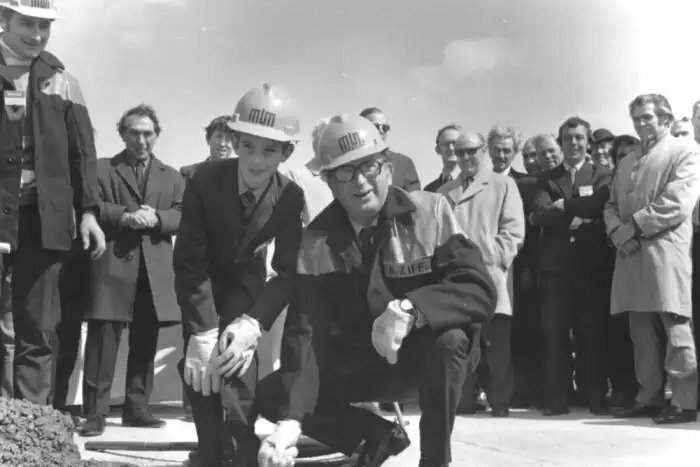 Mr Ziff’s father, the aforementioned Arnold Ziff, led TOWN until he was 76. Mr Ziff is assisted by a property director with 17 years of board service and a fellow Ziff family member, who was appointed as a board executive during 2015. Edward Ziff collected a £571k salary, a £115k bonus and benefits of £121k during 2017, which does not strike me as ‘thin-cat’ pay — especially as the business has seen its underlying operating profit stagnate around the £14m mark during recent years. At least the remuneration committee has kept Mr Ziff’s wage in check — his pay has advanced at a 3% annual average during the last decade. 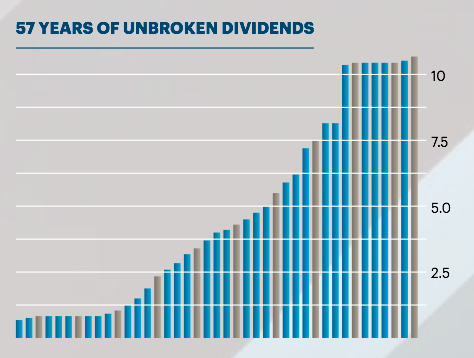 I suppose it is no coincidence that the Ziff family owns 52% of the shares — a collective £78m stake — and has also delivered that resilient long-term dividend. A trio of special payouts during the mid-Noughties underlines the family’s straightforward view of handling surplus funds. I am hopeful current boss Edward Ziff will maintain the sensible approach, given he enjoys a 10%/£5m personal shareholding. One appealing feature of TOWN’s annual reports is the absence of the awful LTIP acronym. In fact, old annual reports reveal staff options were last seen during 2012 and no option scheme presently exists. The same statement also revealed first-half gross revenue up 12% to £15m, underlying operating profit unchanged at £7.5m, other gains of £8.7m and NAV up £11m to £199m. I must admit to being quite partial to TOWN’s car-parking division. I would like to think car parks are relatively simple to run — especially these days with electronic payments — and their revenue won’t suddenly stop/drop because a tenant goes bust/applies for a CVA. During the latest half year, car parks represented 8% of TOWN’s asset base but produced 40% of underlying operating profit. Clearly the returns from this division appear far more attractive than those achieved from running a shopping centre. The car-park strategy appears to focus on purchasing and then enhancing under-performing sites. As I have already mentioned, car-park revenue has more than doubled since 2009. Throw in new technology, such number-plate recognition, to keep costs down, and car parking does seem the most dynamic part of the group. Added potential comes in the form of TOWN’s 15% ownership of yourparkingspace.co.uk, which is a small loss-making website that matches spare driveways to car drivers. TOWN is “very excited” about yourparkingspace’s prospects. It may already be a bargain. The 281p share price compares to a 375p per share NAV revealed within last month’s interim results. The shares therefore trade at 75% of NAV. I presume the share-price discount reflects some market dis-satisfaction about TOWN’s 8% or so average returns produced from its equity base. TOWN’s 375p NAV would generate earnings of 34p per share with a 9% RoE, and buyers at a 281p share price could therefore (in theory) collect a 12% earnings yield. Meanwhile, the 11.5p per share dividend provides a 4.1% income. Is it worth watching Town Centre Securities? TOWN does offer quite a few attractions, not least its significant family ownership, a respectable dividend record, the share-price discount to NAV and an option-less board. Nonetheless, TOWN’s long-term progress has been modest — and there has not been much in the way of additional rents and profit to underpin the NAV improvements. Having a significant part of the asset base dependent on the Merrion Centre is something else I am not sure about. I do like the car-parking subsidiary, but at present its contribution is overshadowed by the conventional property division. I would not rank TOWN as highly as Daejan and Mountview Estates — two property shares that already feature in my portfolio. Both of these companies also exhibit major family ownership and illustrious dividends, but their accounts are much simpler, their gearing levels are much lower and their asset bases are less concentrated. All told, I can’t really make a good case for considering TOWN instead of buying more Daejan or Mountview. That tells me I should not take TOWN any further, at least for now. Disclosure: Maynard owns shares in Daejan and Mountview Estates, but does not own shares in Town Centre Securities. This entry was posted in My Rejected Shares, Town Centre Securities and tagged TOWN, Town Centre Securities on March 8, 2018 by Maynard Paton. Good article. I agree with your conclusion. I’ve looked at TOWN a while ago and wasn’t hugely enthusiastic. Can’t see why you’d buy TOWN instead of Mountview and Daejan. Mountview hasn’t really gone anywhere for a couple of years or so and is starting to look interesting actually. Thanks for the comment. Yes, I was attracted initially to TOWN when I stumbled upon details of its 57-year dividend record, and recalled it was majority owned by the Ziffs. The firm’s long-term track record is not straightforward and I was put off by various charges to the P&L. I would like to think you can place relatively more faith in property shares, as their assets are unlikely to disappear overnight. With some normal trading businesses, earnings can seemingly evaporate quite quickly (SYS1, TAST etc :-(). As such, I feel you do not need to diversify too much away from the better property operators. I agree, Mountview (and Daejan I feel) looks interesting. Yes, I agree with you. The business durability of the property business is obviously very, very high. There are still some risks, I think two basic ones really. First, a property company can own marginal assets that don’t attract high quality tenants or suffer from societal shifts. I’d say that is a risk at TOWN actually, but not at DJAN or MTVW. Secondly, a property company can go bust (or be forced to dilute shareholders at a really bad price to raise equity) if it’s overleveraged. So, a financing rather than a business risk. Obviously an easy one to avoid just by buying financially disciplined, conservative companies. The downside of this, which has kept me from putting much money into property, is that unlevered returns on property are pretty low. That’s why I like MTVW, it has an element of “development” profit from selling assets once the regulated tenancies come to an end. But I’ve held DJAN in the past. I sold it for a bad reason – a combination of boredom and the fact it had gone up quite a bit – and I should simply have held on. Idiotic, really. Regarding “accidents” at some of your trading businesses, it strikes me that both TAST and SYS1 suffer from mediocre or poor customer retention. Is that a point you’ve thought about? Certainly I feel much more comfortable owning shares of companies with good customer retention.